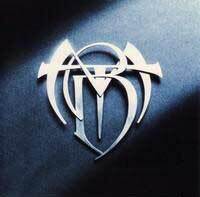 Frontiers Records announces the reissue of MICHAEL THOMPSON BAND’s masterpiece “How Long” on June 8th 2007. In order to coincide with the release of Michael Thompson’s new band debut album TRW’s “Rivers of Paradise”, Frontiers and Michael agreed that it was a perfect time to re-release this masterpiece on the same day. In 1988, after working to try and get a deal with his band Slang for several years, Thompson got signed by Geffen Records to release one album entitled "How Long", under the Michael Thompson Band (MTB) monicker. The singer for this group was Rick 'Moon' Calhoun, previously front man for the AOR cult band THE STRAND, Michael's long time friend. Completing the line-up were another bunch of highly respected studio professionals such as: John Andrew Schreiner (on keyboards), Leon Gaer (bass), John Keane (drums). On "How Long" more musicians appeared, in particular drummer-maestro Terry Bozzio, Pat Torpey (of MR BIG), bassist Jimmy Haslip, ex KANSAS vocalist John Elefante, TOTO's Bobby Kimball and GREAT WHITE associates Michael Lardie and Wyn Davis (who also produced the album). As of today “How Long” is regarded as one of the highest examples of hi-tech AOR / West Coast, with a superb production and immaculate songwriting. During the years it became more and more of a collector’s item and the prices paid on E-bay exceeded 80 dollars! 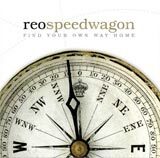 This 2007 reissue comes completely remastered and adds two songs which were recorded during the original sessions and the first fruit of a reunion between Michael, Moon Calhoun and songwriter Jeff Paris entitled “Wheelchair”: an appetizer for an upcoming brand new album to be expected sometime in 2008 ! Secret Information; Give Love a Chance; 1000 Nights; Wasteland; Never Stop Falling; Can’t Miss; Gloria; Stranger; Baby Come Back; How Long; Right To Be Wrong (bonus track); Love Goes On (bonus track); Wheelchair (new song). Skye is the largest and most northerly island in the Inner Hebrides of Scotland but it's also the name of a talented french artist who released her second solo album titled "Appaloosa". Born Elodie Legros, she first recorded an album duet with female singer Katel under the name Dun Leïa in 2000 before beginning her solo carreer. With her first record "Impressionnable", the young songwriter, composer and singer prove her ability to create pure emotional songs made with simplicity and beautiful harmonies. Skye is back with "Appaloosa", released with well reputed guitarist Jean-Michel Kajdan (Michel Jonasz, Maurane, Eddy Mitchell, Didier Lockwood) and she had the chance to present her new songs to the french audience as openning act for the Toto concert in Paris in March 2007, the day of her 30st birthday. The first single is "Aimer tant" and I can admit I love that song as the entire album. Skye, an artist to discover now! “Baptism By Fire” by Frederiksen/Demander annouced for June! 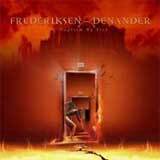 Frontiers Records is pleased to announce the release of the long awaited FREDERIKSEN / DENANDER album “Baptism By Fire” on June the 8th 2007 ! Best know for his role as lead vocalist in TOTO’s “Isolation”, Dennis “Fergie” Frederiksen is undoubtedly one of the most gifted singers in Melodic Rock history. He left his mark also on timeless albums such as Trillion’s debut, Le Roux “So Fired Up” and more recently singing on the awesome Mecca project. Hot on the heels of that recording Fergie, took the chance to work with Swedish guitar player Tommy Denander on his very popular Radioactive albums. Tommy is a very clever and respected musician and producer who has worked with an amazing number of artists and played on an equally impressive number of records (with more than 1000 albums on his credit list that can boast such names as Paul Stanley, Eric Clapton, Jeff Beck, Jimmy Page, Eddie Van Halen, Richard Marx, Desmond Child, TOTO and many more). Getting to know each other better and better, the guys started to focus on the idea of working on a full album together with Tommy working on the songwriting and production and Fergie offering his incredible vocal and of course songwriting skills. But of course when you have such amount of talent involved you can’t help but call… even more talent to help! Fellow Frederiksen buddy, Ricky Phillips (with whom Fergie released the successful Frederiksen / Phillips album in 1995) of Styx, Jim Peterik of Pride of Lions and Tommy’s songwriting partner on many albums Björn Lindbom – among others - offered their songwriting contributions to the project, while Michael Thompson (TRW), Steve Porcaro (Toto) appeared on guitars and keyboards respectively (completing the line-up on the record is NY session drummer Eric Z Daniels whose recent work include coming albums for Robin Beck, Radioactive and Jimi Jamison). After 3 long years of work, now the wait is over and the album is ready to be unleashed. This is an unashamedly, straight ahead Melodic Rock album with plenty of magnificent hooks and brilliant musicianship. Everyone who’s dreamed to listen again Fergie’s voice singing on material that can live up to the levels of the Le Roux or Toto classics, can now safely add this incredible record to his collection. 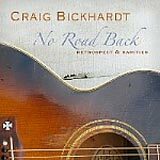 Craig Bickhardt's new cd "No road back" and IdleWheel project with Jack Sundrud! 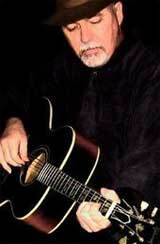 Craig Bickhardt songwriting credits read like a Who’s Who of the music industry. Ray Charles, B. B. King, Johnny Cash, The Judds, Martina McBride, Trisha Yearwood, Allison Krauss, Anne Murray, Art Garfunkel, Poco, David Wilcox, Kathy Mattea, Willie Nelson, Van Zant, Baillie And The Boys, and Vince Gill are just some of the many luminaries who have recorded songs written or co-written by Craig Bickhardt. A discography like that would be the envy of most songwriters, but the covers are only part of the story. "I never set out to write hits for other artists," Bickhardt says. "But I always got a kick out of hearing what happened to the songs in 'translation'." His first break as an artist came when he was asked to write and sing the closing theme for Robert Duvall's Academy Award winning movie TENDER MERCIES. The success of that film led to a move to Nashville, where Craig hooked up with fellow songwriters Thom Schuyler, Fred Knobloch and Don Schlitz to establish THE WRITERS IN THE ROUND. Their laid back "living room" style of performing at The Bluebird Café became the hottest ticket in town. These days it's hard to find a city where songwriters haven't adopted the genial in-the-round presentation pioneered by the foursome in the late 1980s. Eventually Craig, Thom, and Fred took their smooth blend of harmonies into the studio to record their commercially successful CD, NO EASY HORSES. The disk spawned three top twenty singles including Craig and Thom's song THIS OLD HOUSE, which has since become a standard in the traditional bluegrass genre. The trio, dubbed SKB, disbanded after making an unreleased second album, but not before they helped transform the country music scene, opening the door for a wave of singer-songwriter acts that exploded onto the country charts in the 1990s. Craig cemented his reputation on Music Row when he racked up a succession of chart topping hits, writing the number one songs "Turn It Loose", "I Know Where I'm Going", "In Between Dances", and "It Must Be Love". His self-penned CD, EASY FIRES, is a collection of some of the strongest material garnered from this period. Bickhardt’s performing style has often been called “soulful folk”. Craig credits his Philadelphia roots for the influence. “I was lucky to grow up in a town that was a melting pot for musicians. I got to hear lots of R&B as well as the great folk performers of the late 60s, early 70s. It taught me that nothing moves people like a great song sung with some passion,” he says. Discover Graig's music with his new album titled "No road back" available on his site and discover at the same time IdleWheel, the duet project with Jack Sundrud, you must know as lead singer of the band Great Plains and more recently band member of Poco. Thanks to our friend Nick for that news: "Blue Wolf : To The Ends of the Earth and Sea", a Japanese major movie released in March 2007 will also be released more than 60 countries and you can take a look at Genghis Khan's life, from his birth to conquests in Asia in late 12th century. Genghis Khan is said to be the father of Mogolia. Apart from the movie itself, we should pay our attention to the soundtrack album because of two singers. One is Joseph Williams and the other is Jason Scheff. Joseph would sing mid-tempo a little bit TOTO-vein pop titled "Safe And Sound". Jason Scheff perform a power ballad titled "Anything For You" written with Greg Mathieson and originally performed by Tommy Funderburk for his latest solo album "Anything For You"(2005). Alain Chamfort's "Rock'n Rose" now available! 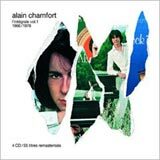 An anthology box set has been released including complete Alain Chamfort discograhy. On the first one, from 66 to 78, you will find the album "Rock'n rose" written by Alain and late Serge Gainsbourg, featuring great players such as Richie ZITO, Jay GRAYDON, Mike HENDERSON, Dave FERGUSON, Jay WINDING, David FOSTER, Steve PORCARO, Michael BODDICKER, Jeff PORCARO, Ed GREENE, Mike BAIRD and Ray COOPER. My favorite song "Lucette et Lucie" is a pearl for westcoast music fans as I am. Don't miss it! Big Street, a new band to discover! Big street m.p., a new band from Sweden, released their debut album "Acoustic Kindergarten" a mix of jazz, acoustic pop, rock, a little blues and some westcoast smoothie. Most of the musicians have studied at the University of Music in Gothenburg and been working as part time free lancers. These are some of the fine musicians that have played with the street project. Our friends at BlueDesert.dk recommand that cd. Don't miss it!! "I've been busy doing vocals on my new solo album, between little 2 week runs with Chicago this last winter and early spring. I had what we think may have been pneumonia for a month in there, and I coughed so much and so badly that I thought it was still the 60's and some Afghani Oil Pressed Primo just came in. Anybody remember what they called "Surfboards?" I digress. The album is coming along really well, and you're gonna' love some of the guests I invited to be on it. I wish I could have done more, but with the time I had and the schedules we had to juggle, I think I got some real "Monsters" on the CD. We did horns with The Santa Fe/ Fat City Horns in Las Vegas, and while I was there I got Jerry Lopez to sing a little. A few other kids are on it, too." 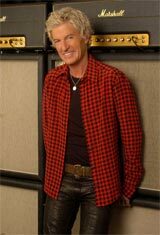 Interview with Kevin Cronin at MelodicRock.com about Reo Speedwagon new album "Find your own way Home"
At MelodicRock.com, REO Speedwagon frontman Kevin Cronin talks about "Find your own way Home" the band's first new studio album in a long time, the inspiration and anguish behind the songs and whose idea it was to work without the constraints of a record label. Read the full interview now! 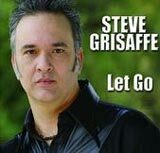 "Let go" Steve Grisaffe new album! Steve Grisaffe, ex-lead singer of the Country Rock band River road has just released his second solo album titled "Let Go". You can purchase the cd at myspace/stevegrisaffe.